Before buying our first boat my wife asked one night over dinner “What is the Cost of owning a yacht?” I was taken back as I had not researched this very important question. The next morning I awoke early and started pouring over the vast amount of information I could find on the internet that lent itself to the true cost of owning a yacht. Wow! This was the one topic hardly ever discussed by brokers yet a very important one. Owning a yacht service company is incredibly helpful when it comes to sourcing these true costs as we bill for them daily but to get an introspective look into the true cost of owning a yacht I reached out to my favorite yacht brokers and yacht owners. Over the course of 1 week I must have spent 5 hours hearing stories-good and bad-about the selection process of buying a yacht and how it can effect the cost of owner ship. I found that the 3 most costly factors in yacht ownership are..
Yacht Crew are necessary for vessels over 80 feet and on average costs the owner $6,500 per crew member, per month for vessels up to 120 feet in length. How many crew members are necessary depends on the capability of the hired crew and the level of service demand by the yacht owner. While yacht captains and engineers typically make $750-$900 per ft per year mates, deck hands and stewardess typically make %20-50% less depending on the experience they bring to the yacht team and demands of the yachting program. So do the math.. 80 ft boat, 2 crew members $13,000 per month. 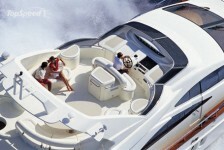 130 ft boat 5 crew members $32,500 per month. 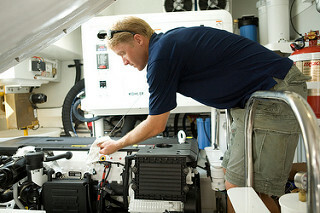 The cost of Yacht Maintenance becomes more costly as the age of your boat approaches 5 years, it’s at this time that boat repairs become more frequent because of misc batteries,pumps and seals throughout the boat expiring, it’s at this time that gelcoat repairs and yacht paint repairs become more frequent as well. It’s safe to say that the following scale is a fair measure for the cost of yacht maintenance on boats 1-10 years old based off the value of the boat. Keep in mind these cost don’t include fuel and food for the adventures ahead.